Profile of Francis Xavier Dery Tuokuu, Ph.D.
Francis is an Adjunct Professor of Environmental Science & Policy at Plymouth State University. He holds a Ph.D. in Environmental Studies from Antioch University in the United States. He holds a double Master’s Degree: Master of Science in Interdisciplinary Environmental Studies from Antioch and Master of Science in Corporate Social Responsibility & Energy from the Robert Gordon University in the United Kingdom. He obtained his Bachelor’s Degree in Geography & Res. Dev. from the University of Ghana. 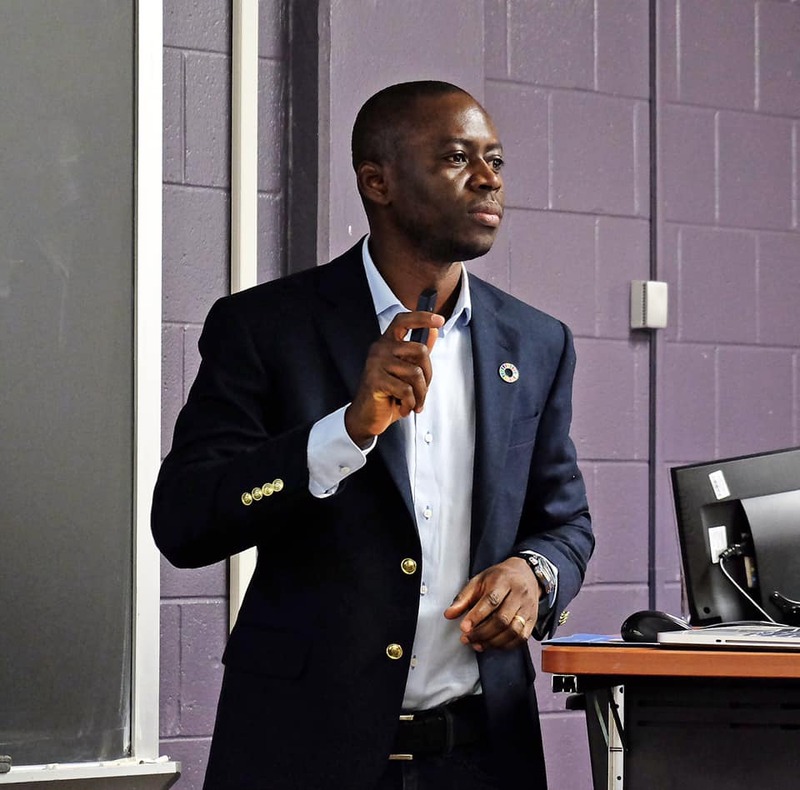 Francis has authored and co-authored some scientific papers which have appeared in prominent journals including; Journal of Cleaner Production, Extractive Industries and Society, Resources Policy, Journal of Sustainable Mining, Journal of Global Responsibility and Int. Journal of Business and Social Science. He has published one book chapter. Francis is also a Reviewer for leading int. journals including; Int. Journal of Corporate Social Responsibility, Communicatio, Social Responsibility Journal & Journal of Global Responsibility. He is a member of the Association of Environmental Studies & Sciences and American Association of Geographers. He has delivered papers at faculty seminars and international conferences. Over the past decade, Francis has worked in three continents in the following capacities: Editor of The Keystone Newsletter at Antioch University; Sustainability Coordinator at Franklin Pierce University, where he was on the team that produced the University’s Climate Action Plan in 2016; Part-time Researcher at the Robert Gordon University, where he was also the P.R.O. of the African Students’ Union; and Research Assistant at the University of Ghana.